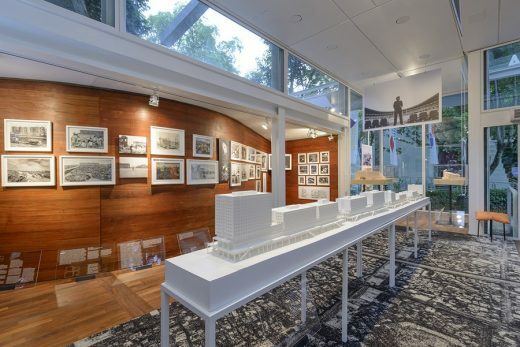 President Tony Tan Keng Yam officially opened the Singapore Pavilion at the 15th International Architecture Exhibition (Biennale Architettura 2016) of La Biennale di Venezia, earlier this afternoon in Venice, Italy, back in 26 May 2016. The Venice Biennale of Architecture is an integral part of architectural culture. However, this year’s cycle “Reporting from the Front” is more unique, It highlights the capacity and potential of architecture’s role inside communities; “architecture makes the difference”, as Aravena puts it. 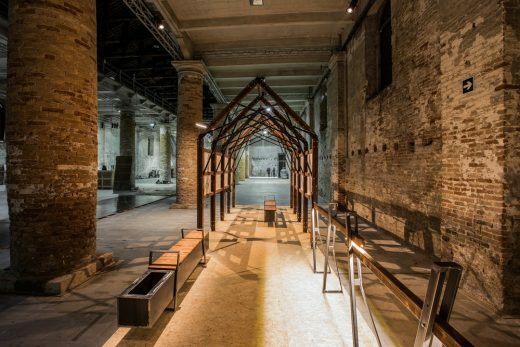 TYIN tegnestue architects have exhibited plans and prototypes made of Kebony for their latest design at this year’s Venice Biennale, which was held in May. The project, Molofunctional, will improve the facilities with additional meeting places, a bathroom and new viewpoints, all placed on a beautiful breakwater on Norway’s northern coastline. 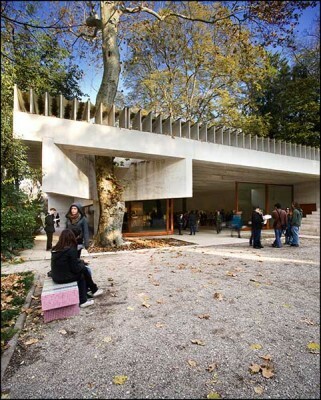 The Spanish Pavilion is awarded the Golden Lion for best pavilion at the Venice Architecture Biennale 2016, for the exhibition ‘Unfinished’ ; the project was curated by architects Iñaqui Carnicer and Carlos Quintáns. 300 projects have been selected to form a contemporary survey of Nordic architecture and will form the central body of the The Nordic Pavilion exhibition at the 2016 Venice Biennale show. Nine have been chosen as uniquely representative of the contemporary Nordic scene and will be presented in depth. 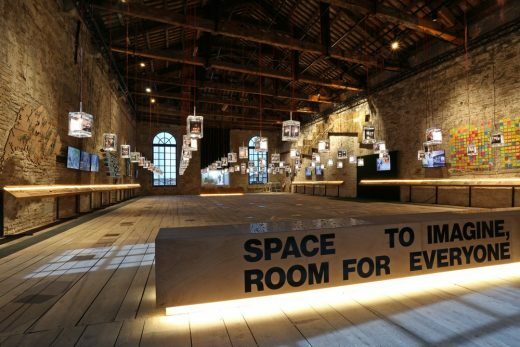 The Board of la Biennale di Venezia, chaired by Paolo Baratta, has met on July 18th 2015 and appointed Alejandro Aravena as Director of the Architecture Sector, with the specific responsibility for curating the 15th International Architecture Exhibition to be held from May 28th to November 27th 2016 (vernissage May 26th and 27th). “There are several battles that need to be won and several frontiers that need to be expanded in order to improve the quality of the built environment and consequently people’s quality of life. This is what we would like people to come and see at the 15th International Architecture Exhibition: success stories worth to be told and exemplary cases worth to be shared where architecture did, is and will make a difference in those battles and frontiers”. 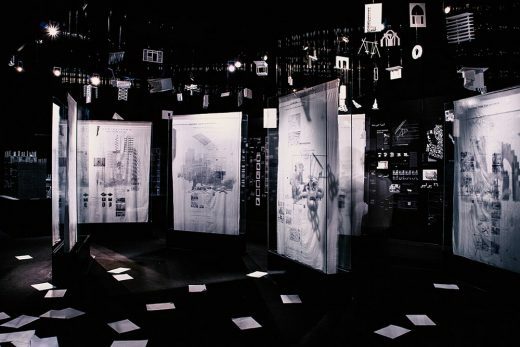 “The 15th International Architecture Exhibition will be about focusing and learning from architectures that through intelligence, intuition or both of them at the same time, are able to escape the status quo. We would like to present cases that, despite the difficulties, instead of resignation or bitterness, propose and do something. We would like to show that in the permanent debate about the quality of the built environment, there is not only need but also room for action”. “After the important experimental Biennale developed by Rem Koolhaas, dedicated entirely to the curator’s research, it is our belief that we must follow up with a Biennale that convenes the architects, and is dedicated to the exploration of the new frontier that demonstrate the vitality of architecture, a frontier that spans across various parts of the world and shows architecture engaged in providing specific responses to specific demands. 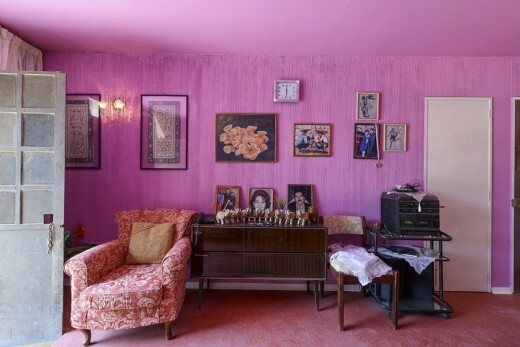 This Biennale intends to react once again to the gap between architecture and civil society, which in recent decades has transformed architecture into spectacle on the one hand, yet made it dispensable on the other. Among architects of the new generation, Alejandro Aravena is, in our opinion, the one who can best describe this reality and highlight its vitality”. 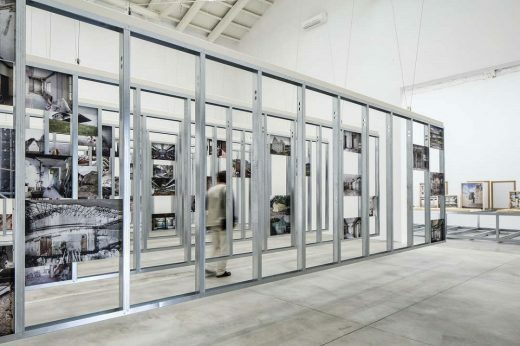 As for the duration of the Exhibition, Baratta confirms that “after many years in which the Architecture Biennale has continued to grow, we may now consolidate the decision to make it last six months, given the steady increment in the attendance of architecture schools from all over the world who come to participate in the Biennale Sessions project, and have made the Architecture Biennale a pilgrimage destination for students and teachers from the universities of many countries, from the United States to China”. 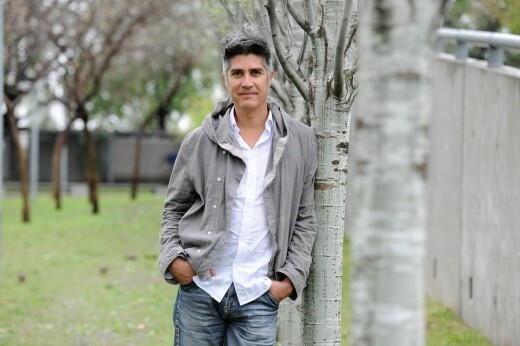 Alejandro Aravena (Chile, 1967) graduated in Architecture from Universidad Católica de Chile in 1992. 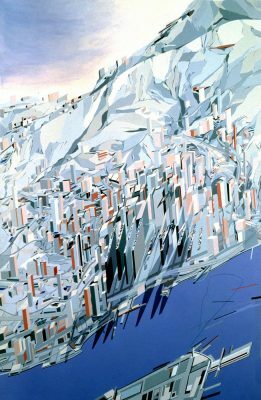 In 1991, still as a student, he participated at the Venice Prize of the 5th International Architecture Exhibition of la Biennale di Venezia. In 1993 he studied History and Theory at IUAV and engraving at the Accademia di Belle Arti di Venezia. 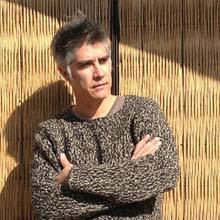 He established Alejandro Aravena Architects in 1994. 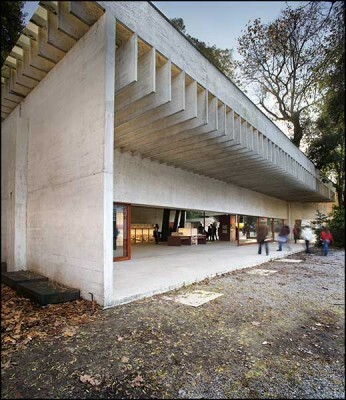 His work include several buildings for Universidad Catolica: Mathematics School (1998), Medical School (2001), Architecture School (2004), Siamese Towers (2005) and more recently the Angelini Innovation Center (2014). It also includes a Montessori School (2000), St. Edwards University in Austin, Texas (2008), a Children Workshop and Chairless for Vitra in Germany (2008), writer’s cabins for Michalsky Foundation in Switzerland (2015) and a building for Novartis in their new campus in China (2015). In 2013 he was shortlisted for the New Center for Contemporary Arts of Moscow and won the competition for the Teheran Stock Exchange in Iran. From 2000 until 2005 he was professor at Harvard University, where together with engineer Andres Iacobelli he found the social housing initiative ELEMENTAL, an Urban Do Tank, partner of Universidad Catolica and Chilean Oil Company Copec. Since then, ELEMENTAL has expanded their field of action to a wide range of infrastructure, public space and public buildings that use the city as a shortcut towards equality: the Metropolitan Promenade and Children’s Park in Santiago, the reconstruction of the city of Constitucion after the 2010 earthquake, the redesign of the Copper mining town of Calama or the intervention of the Choapa Region for Pelambres Mining Company. Korean Pavilion – curated by Mass Studies founder Minsuk Cho – awarded the Golden Lion for best pavilion at the Venice Architecture Biennale 2014. The exhibition is titled ‘Crow’s Eye View: The Korean Peninsula’ and focuses on the potential for the North and South parts of the peninsula to work together for a better future. The Silver Lion was awarded to the Chilean Pavilion.